Stephen Hawking Backs Assisted Suicide For The Terminally Ill : The Two-Way The man, who has lived for years with Lou Gehrig's disease and is considered among the world's most brilliant living scientists, said: "We don't let animals suffer, so why humans?" British scientist Stephen Hawking appears during the opening ceremony of the London 2012 Paralympic Games in London last year. 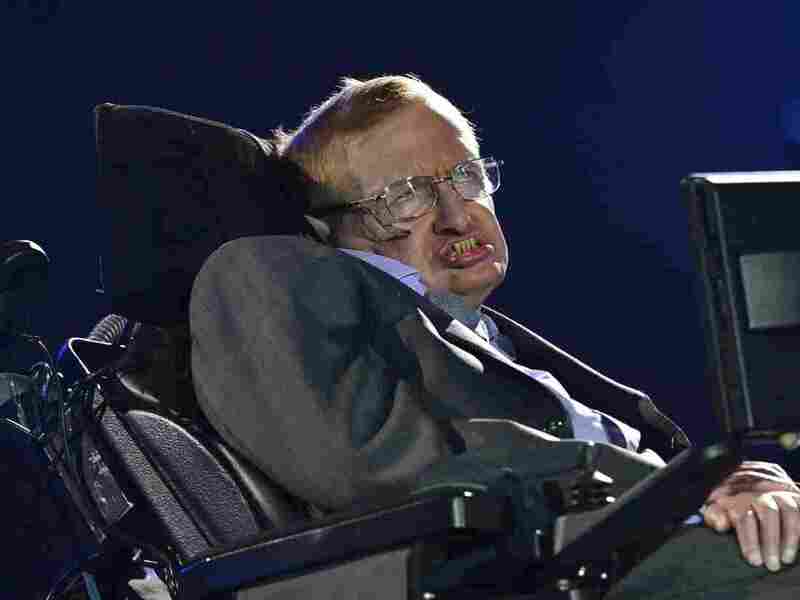 Cosmologist Stephen Hawking, who has lived for years with the progressive and debilitating motor neuron condition known as Lou Gehrig's disease, tells the BBC that he favors assisted suicide for people with terminal illnesses. Hawking, 71, who uses a wheelchair and speaks through a computer speech synthesizer activated by his eye movements, said: "We don't let animals suffer, so why humans?" The BBC says the British scientist, who was diagnosed with amyotrophic lateral sclerosis (ALS) in 1963, was himself once placed on a life-support machine. His wife was given the option to shut it off. Asked if family members of those who wish to die should be able to assist a suicide without fear of prosecution, Hawking said yes. He added, however: "There must be safeguards that the person concerned genuinely wants to end their life and they are not being pressurized into it or have it done without their knowledge or consent as would have been the case with me."